The way to a person’s heart is through his stomach! Drawing inspiration from this, as also from the fact that everyone wants to be a great cook, only if it can be quick & easy, SAB TV presents a fun & light-hearted cookery show titled Jo Biwi Se Kare Pyaar. Jo Biwi Se Kare Pyaar promises to make cooking an enjoyable experience & showcase quick-to-cook & tasty recipes that will bring families together across India. 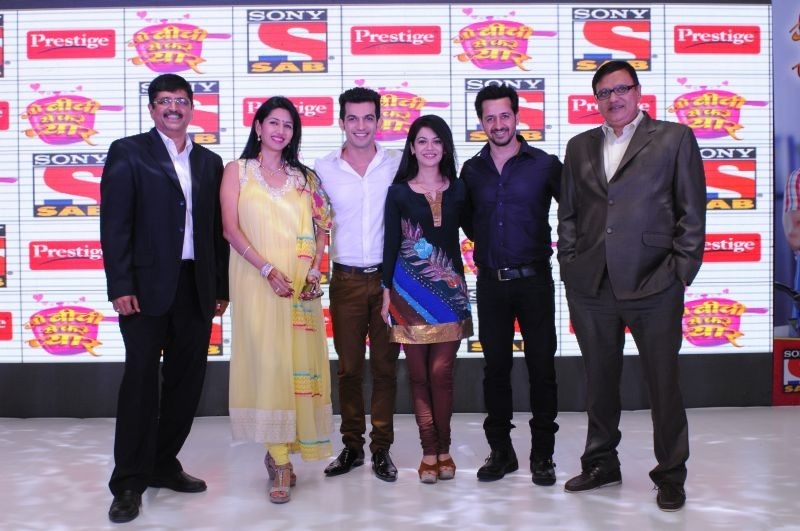 The show premieres on SAB TV from Oct 28th and will be telecast every Mon-Friday at 7:30 pm. Jo Biwi Se Kare Pyaar is a story that reflects the lives of a new age couple, Aditya and Suhani Khanna, who despite leading demanding work-lives try to find interesting ways to spend time with each another. When Ajay decides to do something special for his wife, he surprises her by cooking an exceptional meal using Prestige’s smart kitchen appliance. Impressed by his gesture, the two take a vow that they will cook their daily dinner together from now onwards and in the process realize that cooking is the best way to rekindle the magic in their relationship & share some quality time together. As Aditya and Suhani Khanna master their culinary skills, the show also offers its viewers with a perfect opportunity to learn new, fun & easy recipes that the families can enjoy together. At times, guests also join in during festivals & promotions, thereby giving Aditya and Suhani a chance to impress them with their culinary skills, all inspired by Prestige. Produced by Deepti Bhatnagar Productions, SAB TV brings yet another interesting concept that is sure to appeal to modern consumers who are busy working couples & find kitchen as a perfect place for bonding. The show boasts of a stellar star cast including Arjun Bijlani(Aditya Khanna), Shweta Gulati (Suhani Khanna), Rakesh Paul (Aditya’s brother), Gungun Uprari (Aditya’s sister-in-law) and Amit Behl (Aditya Khanna’s boss).